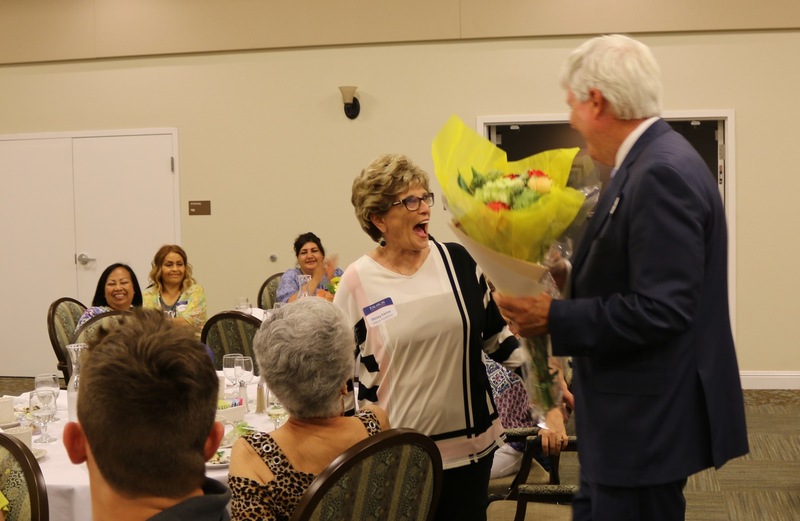 Each year Eskaton honors its passionate and dedicated volunteers at a special celebration event. Over 2,700 dedicated volunteers contributed 63,000 hours of their valuable time assisting seniors in 2017 alone. Special recognition and appreciation went to Shirley Farinha for 40 years of service. Konark Mangudkar was honored as Eskaton’s nominee for Sacramento Youth Volunteer of the Year. Volunteers fill diverse positions throughout Eskaton that include compassionate companions, musicians, wheelchair chauffeurs, yoga instructors and much more. Volunteers clearly demonstrate the heart of Eskaton. Eskaton story. It didn’t take long before Claude was asked to serve on the corporate board and Shirley asked to help lead Eskaton’s fundraising efforts. Shirley was the chair of one of the most successful galas, “A Night of Nostalgia.” Now, nearly 40 years later, Shirley is still very much involved. Early in 2018, Pristina Zhang, Life Enrichment Director at Eskaton Village Carmichael’s Memory Care, nominated Konark Mangudkar as Sacramento’s Youth Volunteer of the Year. Konark and his parents enjoyed this recognition at the Directors of Volunteers in Agencies (DOVIA) awards ceremony on March 8, 2018, at Shriners Hospital for Children. Along with Eskaton, many wonderful local nonprofits were recognized for their inspiring spirit of volunteerism. Konark, a recent graduate from El Camino High School, has an interest in technology and wants to pursue a degree in neurological sciences. His experiences volunteering in memory care provided insight to cognitive change and how to relieve symptoms through a non-pharmaceutical approach. During his senior year, Konark volunteered on Sundays. He served as a wheelchair chauffeur ensuring residents were able to attend church service. Additionally, Konark learned to redirect residents experiencing agitation and anxiety demonstrating his intuitive ability to recognize individual needs and not the stigma of a diagnosis. He is truly a compassionate companion and talented conversationalist. We wish him success in his studies at University California Davis in the fall. 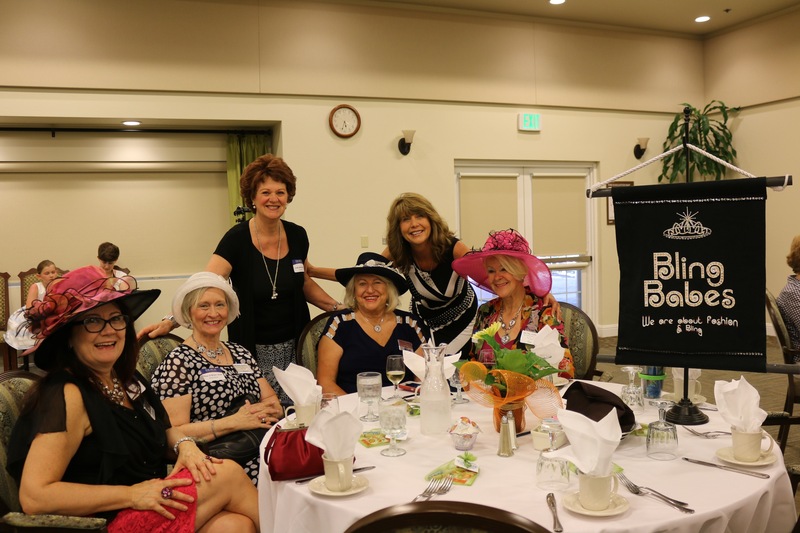 The Bling Babes (above), a Sacramento-based social club, volunteer at Eskaton on a regular basis and add dazzle to many of our events. 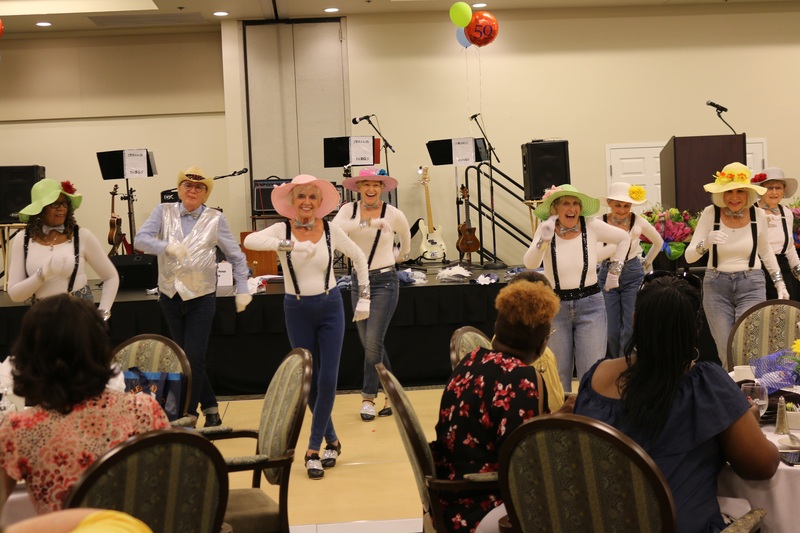 Hats and Taps (below) dance at the Annual Volunteer Appreciation Celebration June 19, 2018, at Eskaton Village Carmichael, in Carmichael, California.